Ulteo Open Virtual Desktop is a simulator which can bring Linux operating system on a Windows one. The two are integrated into a single desktop. 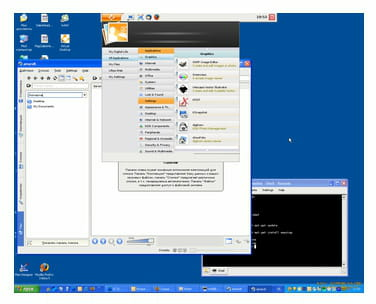 Emulation: once Ulteo Open Virtual Desktop is installed on the server computer, it can provide an access to the virtual desktop of any PC on the network. Access can be granted directly over the network or via Web browsers. Account: the right of entry to the virtual desktop can be secured via the creation of a user profile. When using different operating systems on local server computers, this program also makes sure that the data are protected against hacking. Remote access: thanks to this utility, the server administrator can easily have access to all computers (with operating systems and applications on them) on the server. Monitoring, logging can be done from a distance. This is essential for corporate needing both Linux and Windows operating systems. Bugs have been fixed for this latest version of Ulteo Open Virtual Desktop. Wallpapers, icon folders can be selected by the user for the two operating systems on the computer. Bandwidth usage can be improved when using this utility. Latest update on January 6, 2015 at 08:20 AM.